It’s common knowledge that a lot of famous people went down with the Titanic—John Jacob Astor, Benjamin Guggenheim, and Isidor Straus, to name a few. Several notable men had tickets but chose not to board, including Milton Hershey, Henry Clay Frick, and J.P. Morgan. But only one man avoided maritime disaster not just once—but twice. 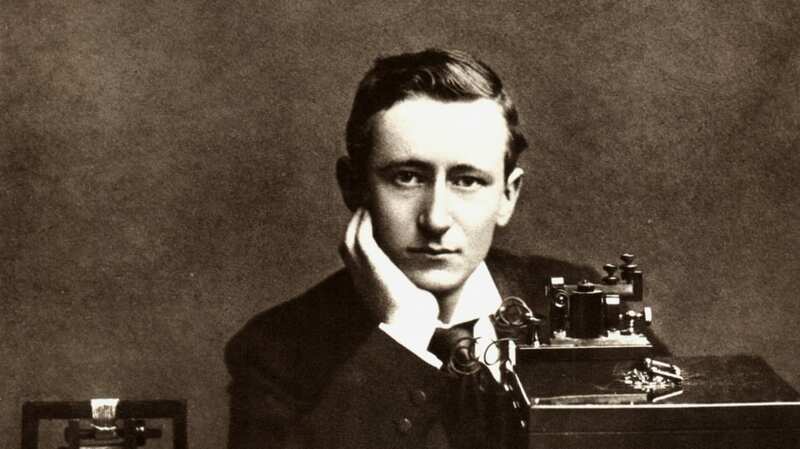 Nobel Prize winner Guglielmo Marconi, the Italian inventor known for his contributions to the invention of the radio and long distance transmissions (who was born on this day in 1874), had been invited to participate in the Titanic’s maiden voyage, free of charge. Though his family was anxious to try the luxury liner, Marconi opted to sail for the U.S. three days earlier. He had a lot of work to do, and he preferred the stenographer on the earlier ship, the Lusitania. Though he wasn’t actually on the Titanic, Marconi ended up being quite involved in the disaster; it was his radio system on the ship, and the two men manning it were Marconi Company employees. The British Postmaster General later said, “Those who have been saved, have been saved through one man, Mr. Marconi ... and his marvelous invention." One brush with death is enough for anyone, but Marconi would have another close call just three years later: In April 1915, the inventor sailed to America on RMS Lusitania to testify in a patent lawsuit. When the ship was near the end of its journey back across the Atlantic in May—without Marconi onboard—the Lusitania was sunk by a German U-boat. Nearly 1200 people died, including millionaire Alfred Gwynne Vanderbilt, who, like Marconi, had passage on the Titanic but chose not to go. When Marconi passed away in 1937 at the age of 63, it involved no icebergs, torpedoes, or water; it was just a run-of-the-mill heart attack.